.....Lang Lang is an experience. If you have the chance to see him performing, don’t hesitate. He has a certain style that makes him unique. 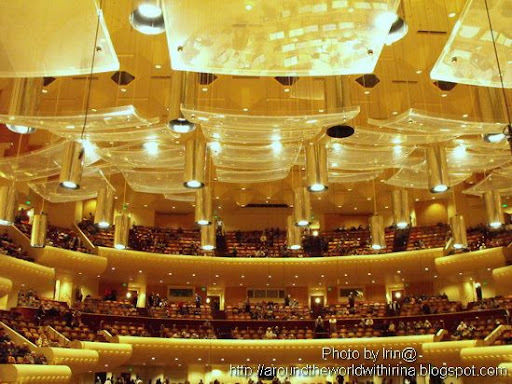 I was him at San Francisco Symphony, on April 19th. It was the 23rd and last concert from the American tour of the Schleswig-Holstein Festival Orchestra conducted by Christoph Esenbach. It’s a youth orchestra (18-26 years old) that is formed after several auditions in Europe. This year they toured with Lang Lang. What a chance for them. He’s about their age but famous worldwide. ......I had one of the cheapest (if not the cheapest) seats, behind the orchestra. But I knew hwy I chose that side. 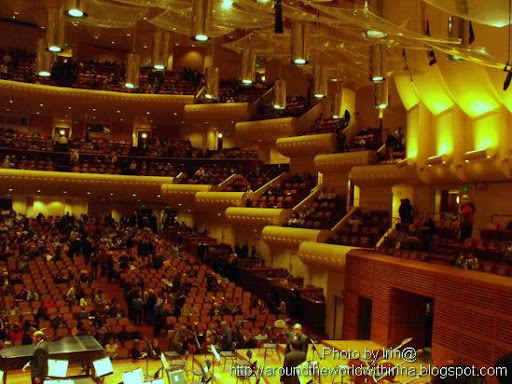 During a piano concert, the player faces that part most of the times because that’s where the conductor is. So I was Lang Lang’s face and hands all the time and also the conductor’s face (which many times gave more power to the music). The coordination between the soloist and the orchestra is perfect. And the young ladies and gentlemen in the orchestra showed everybody how much they love performing. It was the big chance for them to show what they can do. ......Beethoven’s concerto impressed me most. The solo in the first part made everybody hold their breath. And the third part was like fireworks. I was so sorry when it ended. But he came back for an encore. And it was a special one. A piece for 4 hands performed with the conductor. ......After the concert people queued for autographs. He doesn’t seem to enjoy very much talking to people. We were allowed to take photos, but without flash. And he was sitting somehow in the shadow. Oh, well. This is the less important part of the concert. The main idea is that I got to see Lang Lang playing. So far away from home, but I consider myself lucky. ......The next cultural adventure is seeing Gustavo Dudamel conducting the LA Symphony in Los Angeles.